In an age where budget considerations trump many other factors in agency decision-making, low-cost security cameras appeal to many government agencies for their cost-effectiveness. Unfortunately, cost-effectiveness does not always translate to effectiveness of equipment. In fact, it rarely does. Low-cost security cameras are frequently hampered by a number of issues that prevent them from doing their job. In the end, the decision to invest in a low-cost setup usually results in little value for a government agency. In this week’s blog, we’ll talk about some of the pitfalls common to low-cost security cameras. Low-cost security cameras are frequently hampered by the following issues. Reliability issues are a common compliant among owners of low-cost security cameras. This is because in order to reduce the cost, camera manufacturers use low quality components that are more likely to fail. The last thing any government agency needs is to have a security camera fail at a critical moment. Durability is another issue with low-cost cameras. Low quality components don’t last as long, leading to a shorter lifespan and necessitating more frequent replacements. One good measure of the durability of any security camera is the IP (Ingress Protection) rating system, which measures the ability of the housing to keep out things like dust particles and water. You want to look for at least IP-66. In addition, it’s best to look with cameras with as few moving parts as possible. The fewer parts, the fewer chances there are for a breakdown to occur. 180-degree cameras are a good example of a camera with few moving parts, and may be preferable to a PTZ camera. Perhaps the most significant concern with low-cost cameras is the potential for poor performance. 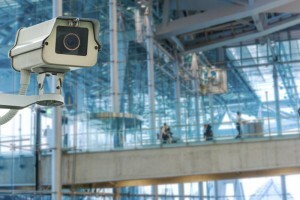 Security camera manufacturers may make bold claims on their websites as to the performance of their cameras, but frequently their performance in the field suggests otherwise. A good way to get a more accurate idea of a camera’s performance before you buy it is to look at customer reviews online, or ask the manufacturer for references of real-world users. Another big problem with low-cost security cameras? They themselves may not be secure. Low-cost cameras often aren’t designed with device security in mind, and can more easily be breached by hackers, who can then steal the sensitive information they contain. The less you pay for any product, the less money the manufacturer can put into customer support. This entry was posted on Thursday, May 14th, 2015 at 1:44 pm. Both comments and pings are currently closed.